In January, temperatures in Lansing, MI plummeted far below freezing making it extremely dangerous for those who are homeless. Knowing people would likely freeze to death if they stayed outside, one couple decided to help out those less fortunate than them. However, instead of being praised for their good deed, the couple was arrested. Julia Miller and Martin Mashon were handing out bus tokens in January so that homeless people could go to the bus station instead of staying outside and freezing to death. They are advocates for the less fortunate and during weather emergencies like this one, they often hand out coats and help people make it to warming centers. But on this particular day, the police would show up to put a halt to their kindness. Police harassed the couple and demanded to see their identification. When they refused – Miller and Mashon were arrested and charged with trespassing. 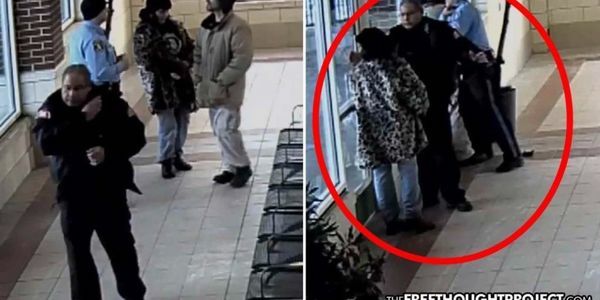 According to many folks who have commented on the video of the incident, the director of the CATA bus station has an open door policy during cold weather and allows the less fortunate to "loiter" in the station to stay warm. However, it appears that the police wanted nothing of it. We the undersigned ask that all charges against Miller and Mashon be dropped - and the cruel cop who harassed and then arrested them should be fired.